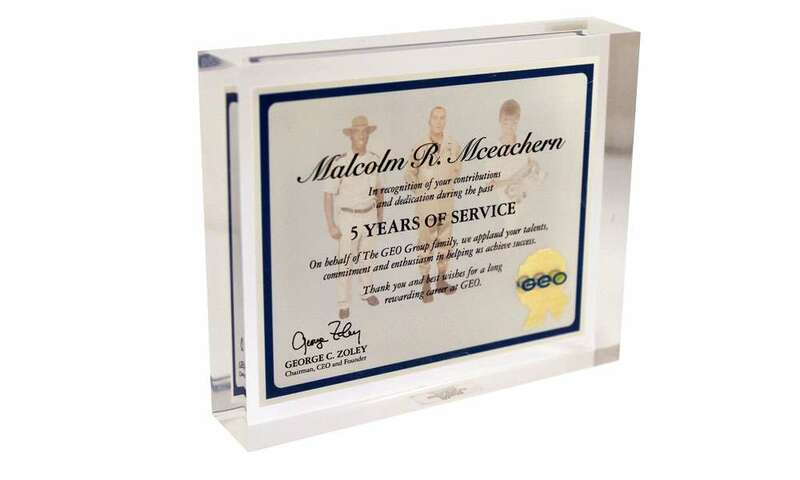 Custom Lucite Recognition award marking 5 years of service with Abu Dhabi-based gas company Dolphin Energy. 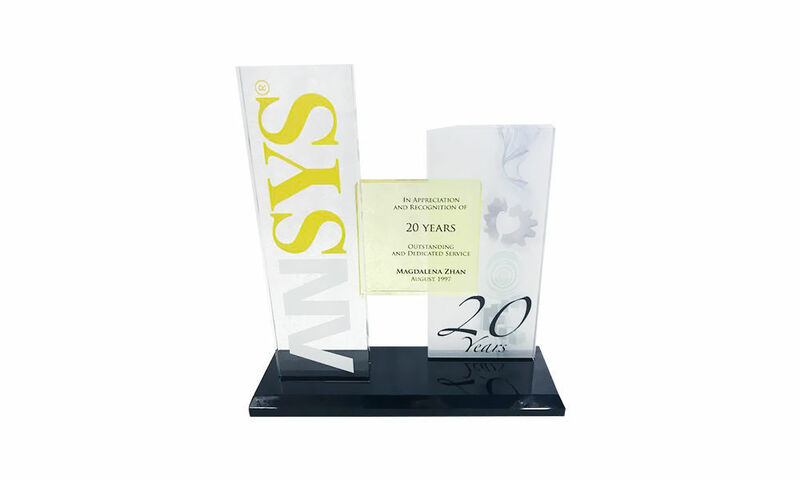 Custom crystal award recognizing 20 years of service at Canonsburg, Pennsylvania-based software developer Ansys. 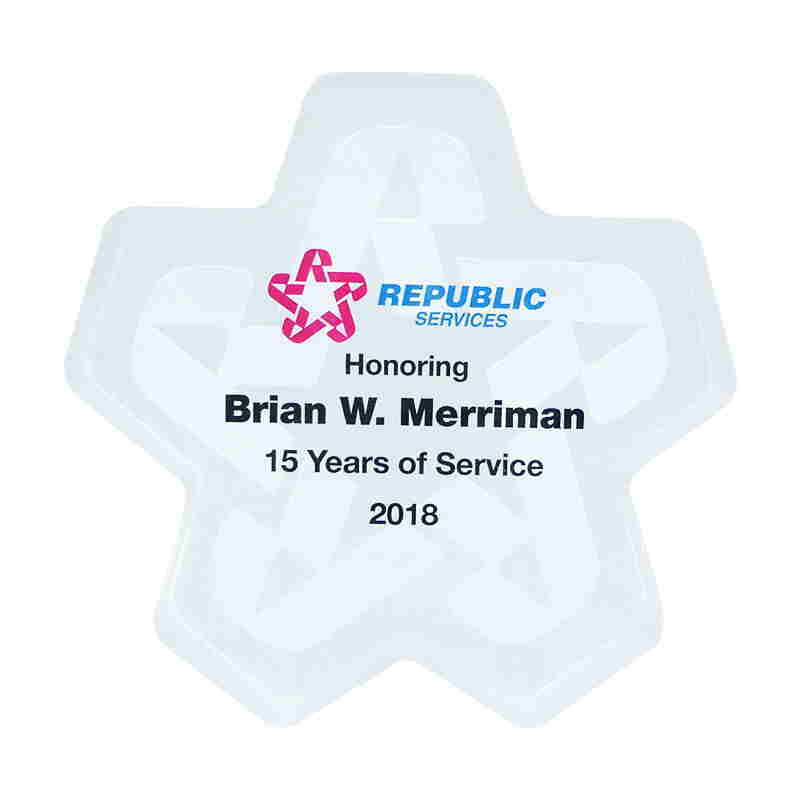 Logo-themed, custom years-of-service award presented by Republic Services. 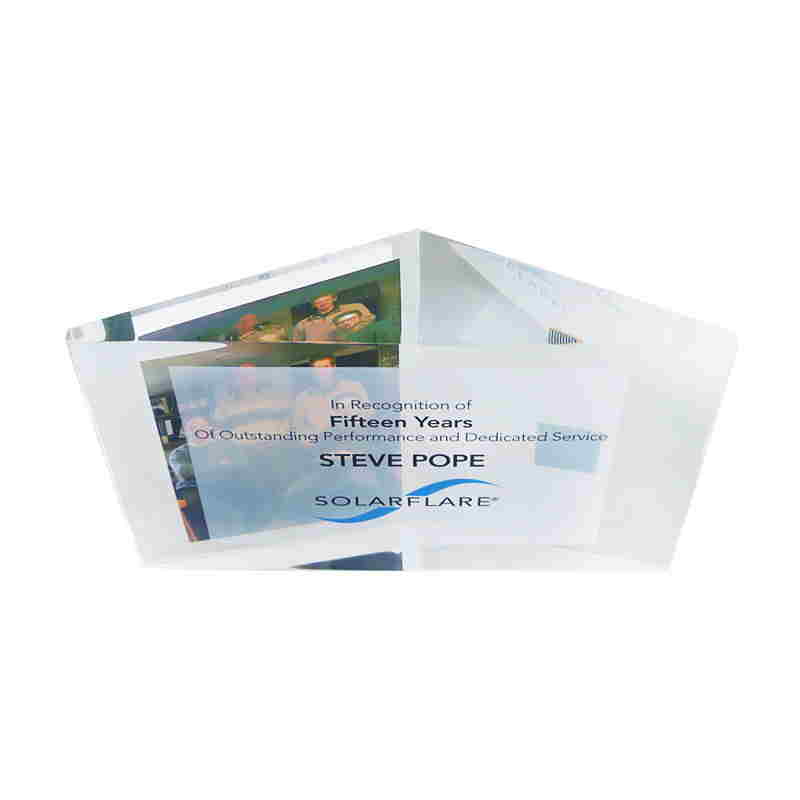 The national recycling and waste management company is headquartered in Phoenix, Arizona. 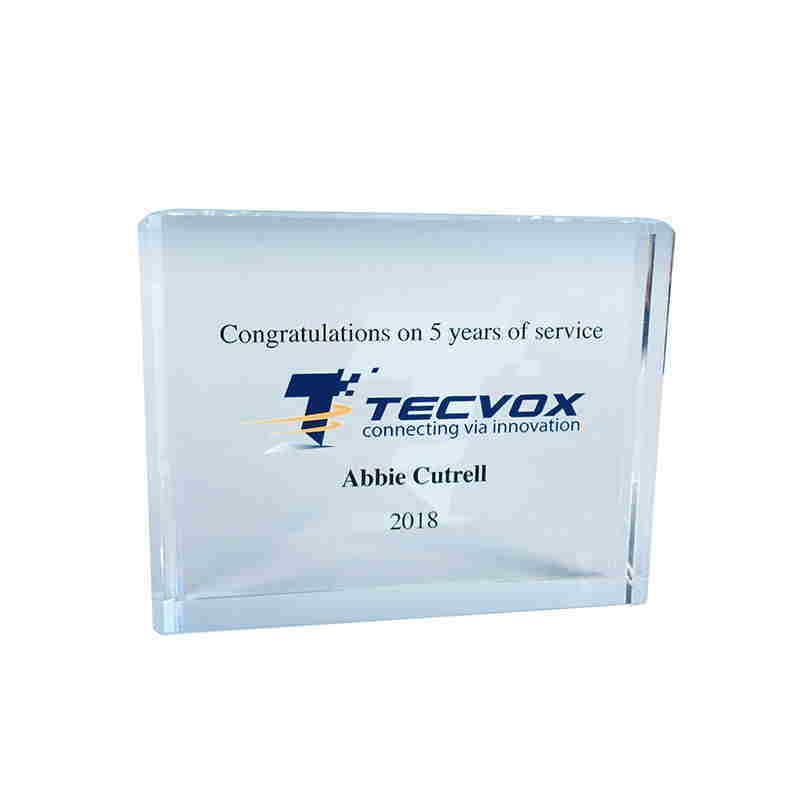 Crystal recognition award commemorating 5 years of service at Tecvox, a provider of infotainment connectivity systems for automobiles. 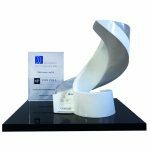 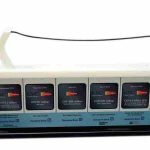 The company is based in Huntsville, Alabama. 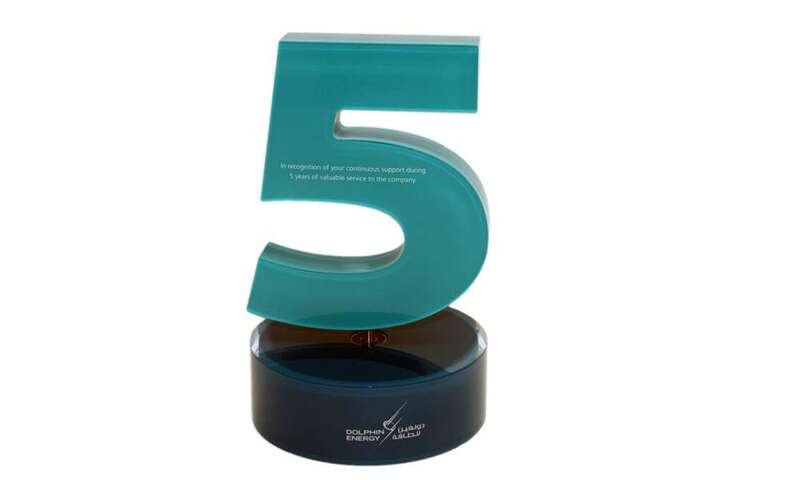 Management team award recognizing the founders of server connectivity provider Solarflare. 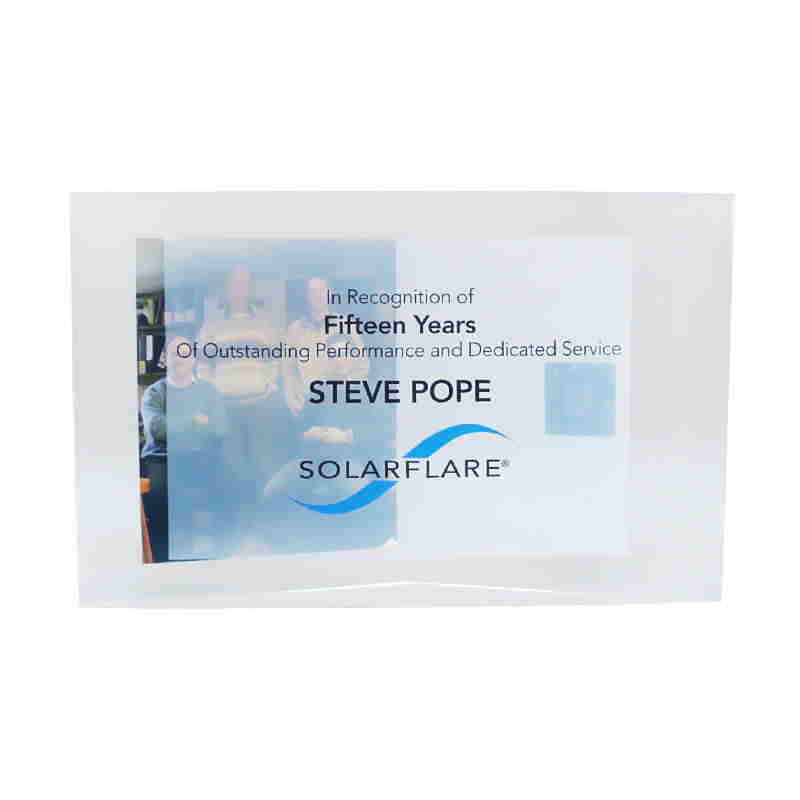 Custom Lucite recognition award honoring the management team and founders of Solarflare. 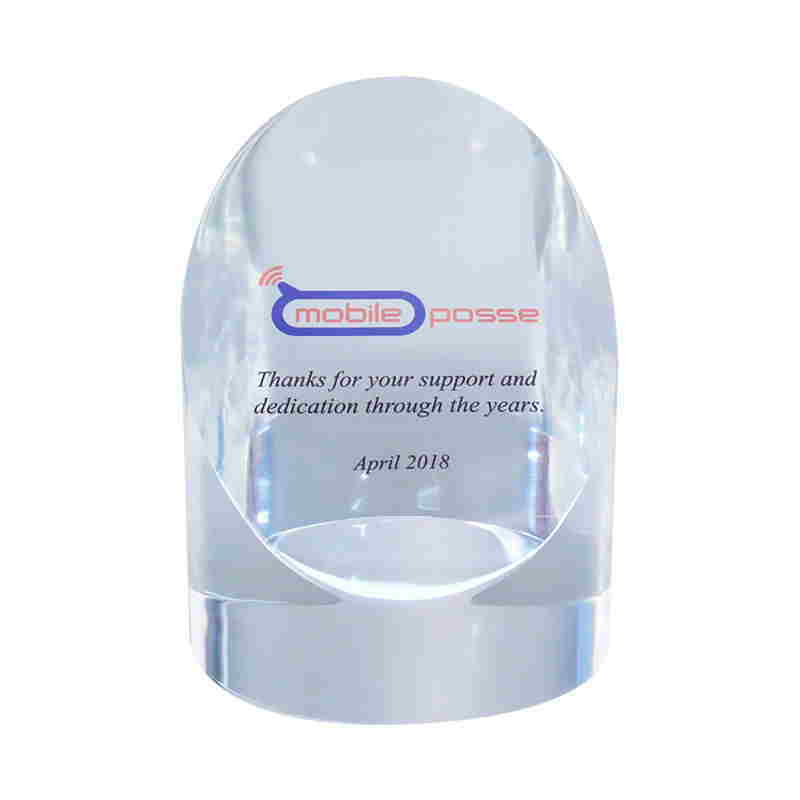 Employee recognition award presented by Mobile, Posse, an Arlington, Virginia-based mobile content marketing firm. 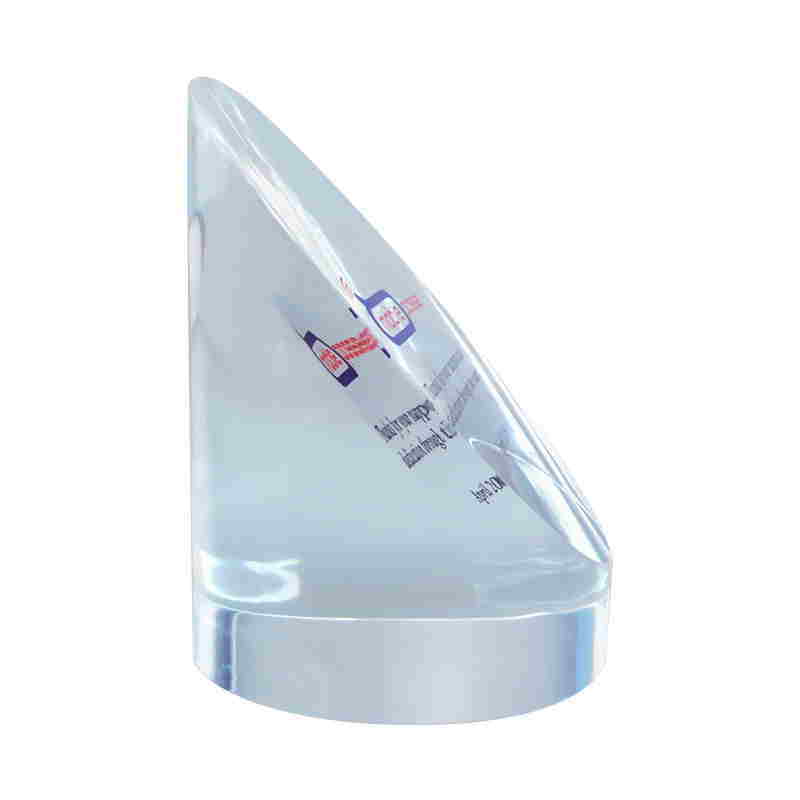 Side view of slant cylinder award presented by Mobile Posse, a mobile content firm headquartered in Arlington, Virginia. 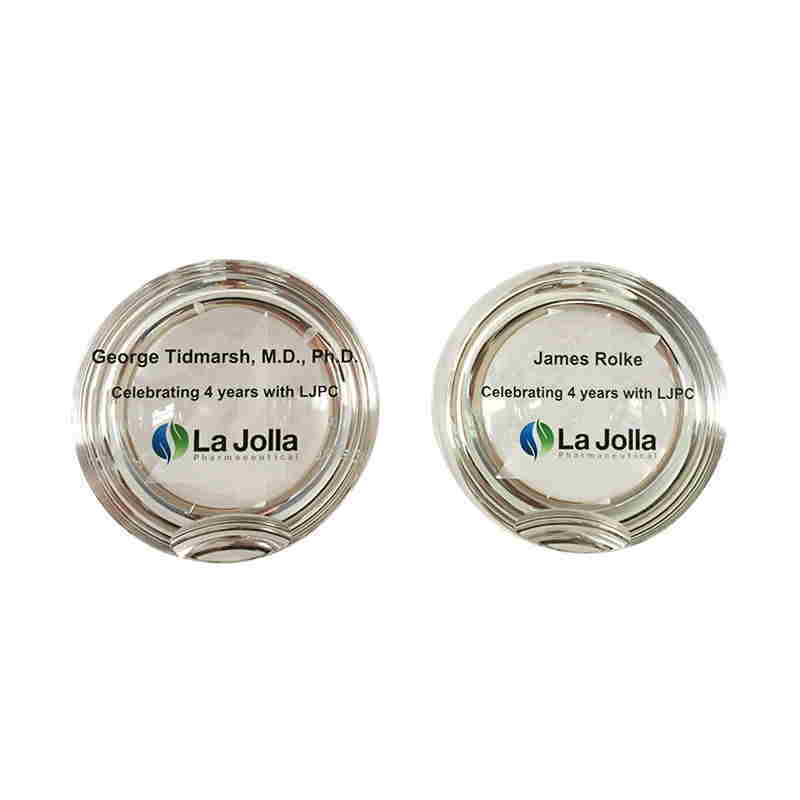 Custom acrylic years-of-service awards designed for La Jolla Pharmaceutical. 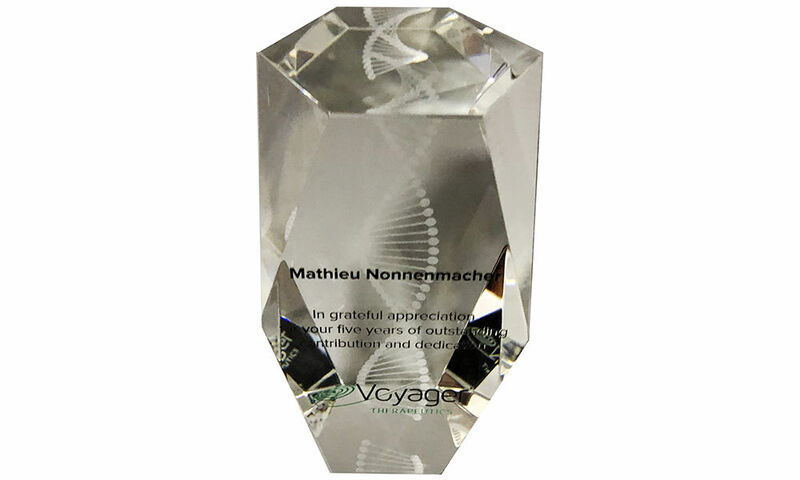 The biopharmaceutical company is headquartered in San Diego, California. 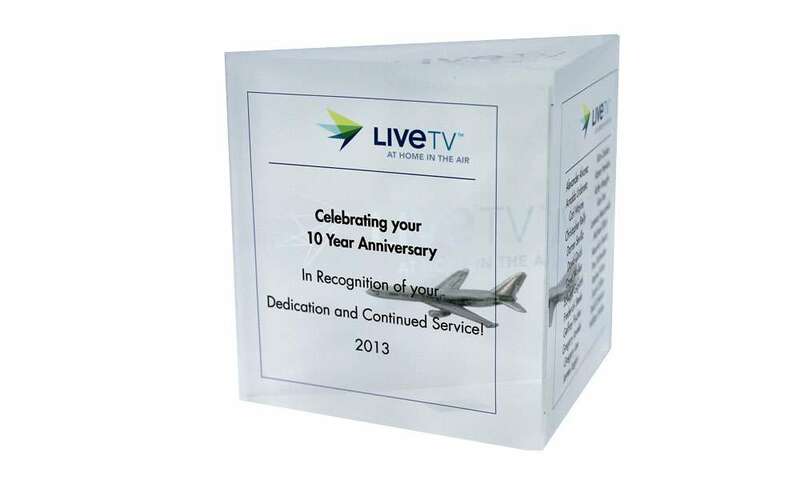 Custom acrylic award with pewter airplane celebrating 10 years of service with in-flight entertainment provider LIveTV. 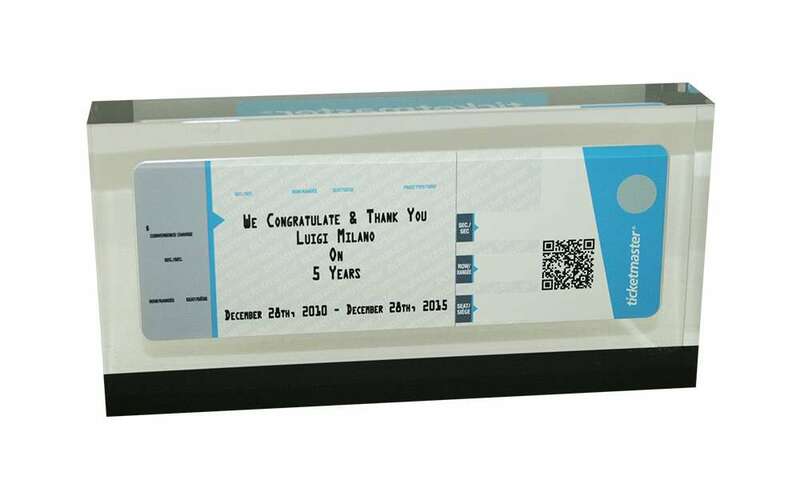 Ticket-themed custom Lucite award recognizing 5 years of employee service with Ticketmaster. 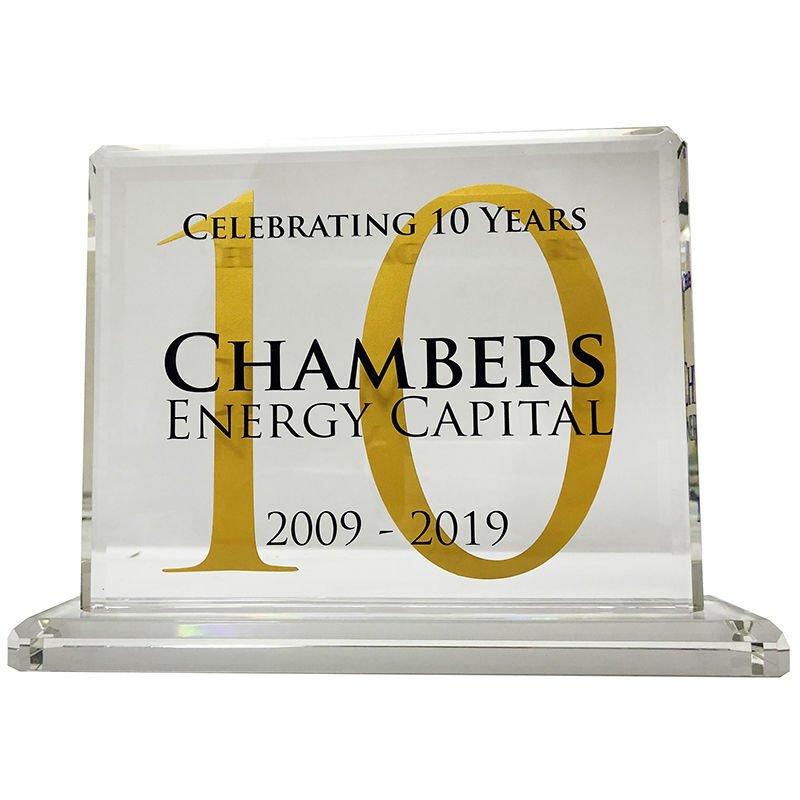 The company is based in West Hollywood, California. 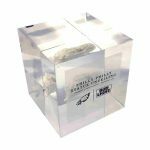 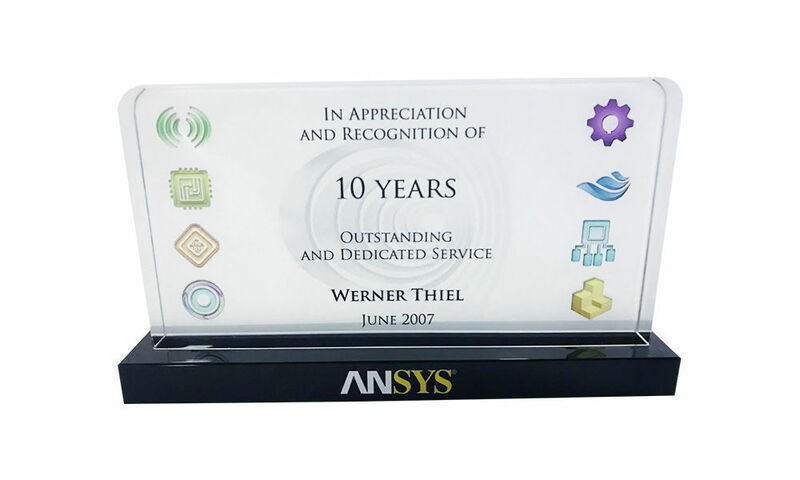 Custom crystal years-of-service award recognizing 10 years of employment at Ansys, the Pennsylvania-based developer of engineering simulation software.